You may have noticed the plethora of spray painted annotations on the road and pavement at the Green Lane/Central Road junction. It's all in preparation for major gas mains replacement works which are set to bring traffic chaos to Worcester Park over the August Bank Holiday weekend. Blog sources tell me that Central Road will be completely closed to traffic from the Friday evening, with works planned to be completed on the Bank Holiday Monday. Quite how Worcester Park will cope with being cut off from civilisation for three whole days remains to be seen. Anyone want to give me a hand building a raft to set sail on the Hogsmill? A quick update for you on work to restore the pond in Shadbolt Park, off Salisbury Road in Worcester Park. If you have been in the park recently you will have seen that the "pond" is just a grassed-in concrete bowl, the water having completely drained away yet again, despite heavy rainfall early this year. 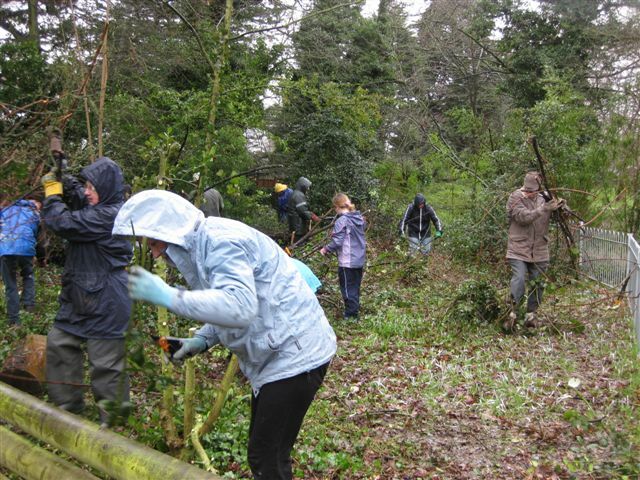 On 28 February when the group had their first volunteer day clearing vegetation around the area, it was pouring with rain and the pond was overflowing. Spawn was laid in all this lovely water in March, showing that there are many amphibians out there waiting for opportunities to breed, but it is not likely anything survived as the old liner leaked spectacularly again. This really needs to get this sorted because many of our amphibian and insect species are in decline through pond loss, so small bodies of water in parks and gardens are really important. The group has been spending most of this year trying to raise the money needed to do this work as cheaply as possible with volunteer labour and has done very well, securing a grant from the SCC and receiving several donations from generous individuals and groups in the neighbourhood. To raise further funds, they are are having a stall at the Cuddington Fair (Fun Day) on the Paddock in Shadbolt Park on Saturday 26 June. Entry is free, so do go along and buy a raffle ticket or drop some small change in their collecting 'bucket'. It will also be an opportunity to talk to the group about their plans for the pond area and get your name on the list so that they can contact you when a date is set for the next working party. Pond restoration is targeted to start in September. A team from the Lower Mole Countryside Management Project will lead and guide the team, carrying out the preliminary work with machinery before the main volunteer day. It will be too expensive to repair the concrete liner or to break it up and start again, so the new pond will be smaller, within the existing pond area, using a flexible butyl liner and partial 'fill' of the area to provide a gentle 'bowl' profile. The finished shape will be roughly oblong with rounded ends and sloping banks so that wildlife can enter and leave it safely. It will be rain fed and filled and so reliant, as all natural ponds are, on the weather, which may mean the level will be very low in the Summer but given decent rainfall during the Winter and Spring, gradual drying out in hot weather later in the year should not have serious effects on wildlife populations. Unlike the existing pond, the water will not leak away and we should only be dealing with evaporation. Some tree removal will be necessary, because heavy shade has detrimental effects on pond ecology. If you are interested in helping with this labour of love, please keep an eye out for the group's publicity or get in touch (details at the end of this blog post). You don't need to know anything about ponds; experts from the Lower Mole Project will be there to direct and advise, and all tools will be provided by them. Hands up who remembers the heyday of sticker swapping? It was, I recall, of many pointless but harmless playground crazes of childhood (I was pretty good at Top Trumps and had quite a good collection of Garbage Pail Kids too). 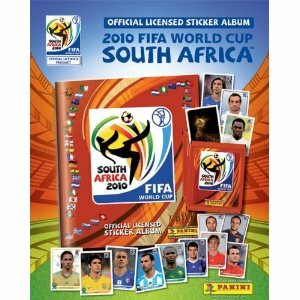 Those of you wanting to re-kindle sticker swapping memories (or discover the joy of this hobby for the first time), head over to CAZBAR on Central Road this Sunday from Midday to 2pm to swap World Cup Panini sticker and fill your album faster. Kids of all sizes are welcome!